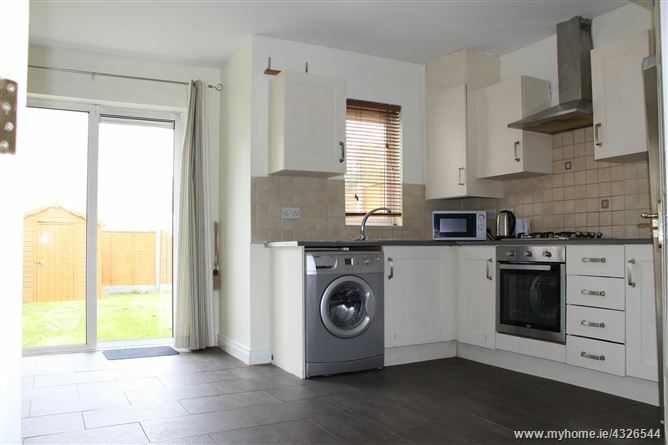 No 27 Brindley Park Green is a substantial two bedroom terraced house overlooking a large green space. 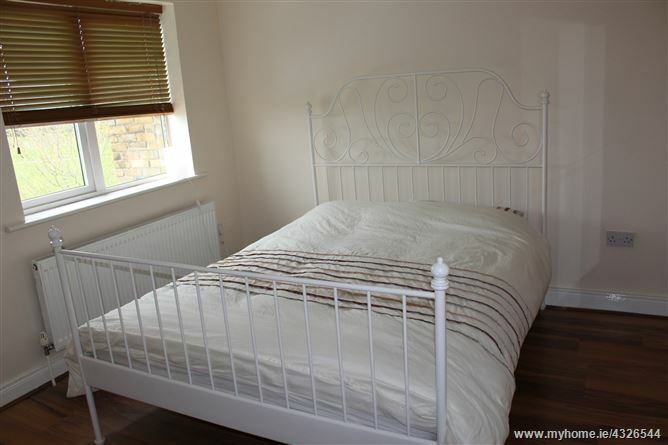 The property is presented in excellent condition throughout and would be an ideal home for a young family or a great trade down for someone looking to stay in the heart of Ashbourne. 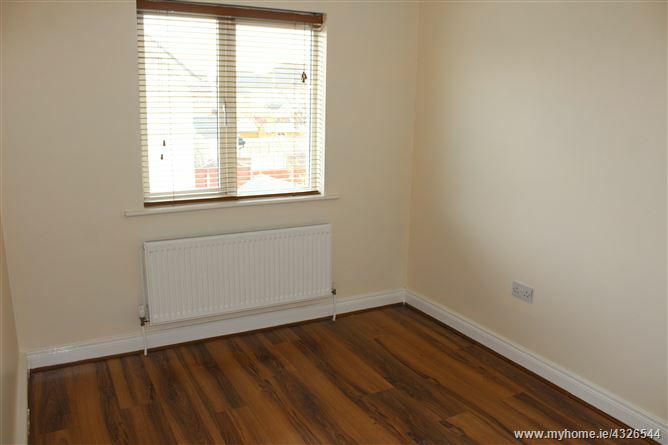 In brief, accommodation consists of: entrance hallway, Living room, spacious kitchen/dining room, bedroom 1 with en suite, Bedroom 2 and family bathroom. 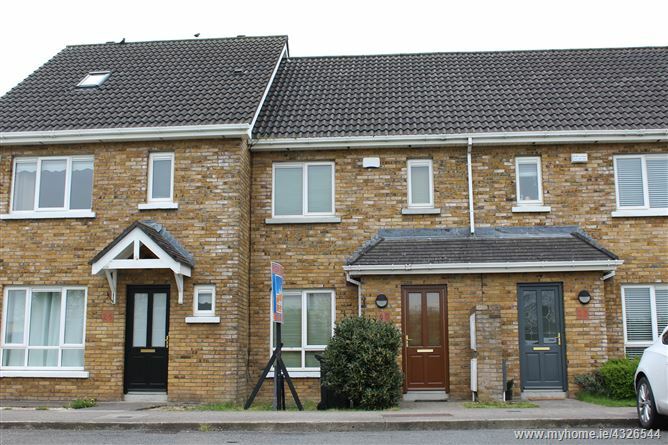 Brindley Park is located minutes from Ashbourne Town, Approx a ten minute drive from the M50 at the N 2 interchange, from there it really is access all areas, straight through to the city centre left to the airport and right to the west and south Dublin. Ashbourne has been developed considerably over the years and really is a dynamic town, It benefits from being serviced by excellent infrastructure and includes a pro-active approach to state of the art shopping, dining, leisure and educational amenities. 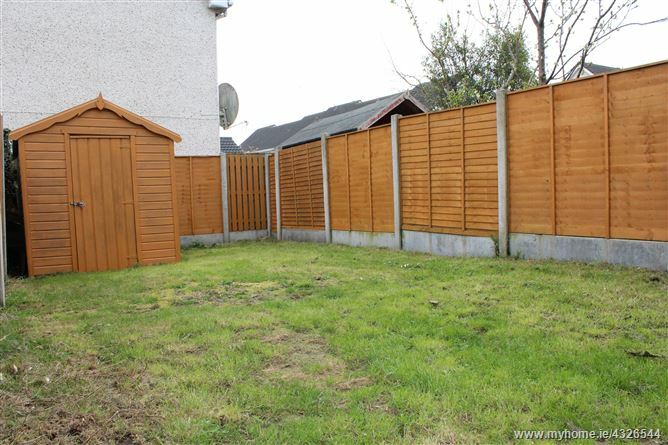 All fencing to rear garden painted and treated. 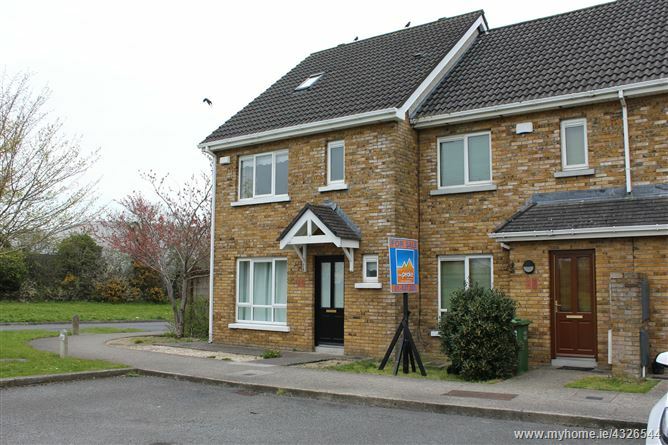 Walking distance to Ashbourne town and schools. Bus stop at the entrance of the development - approx a five minute walk away. 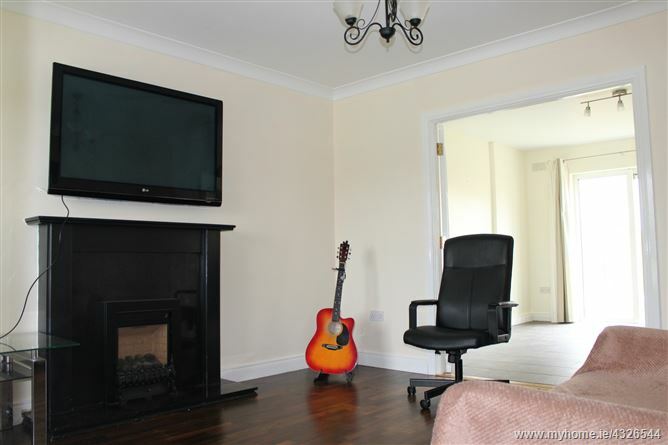 Wood floors, feature fireplace with gas fire insert, Store, Double doors to kitchen dining room. 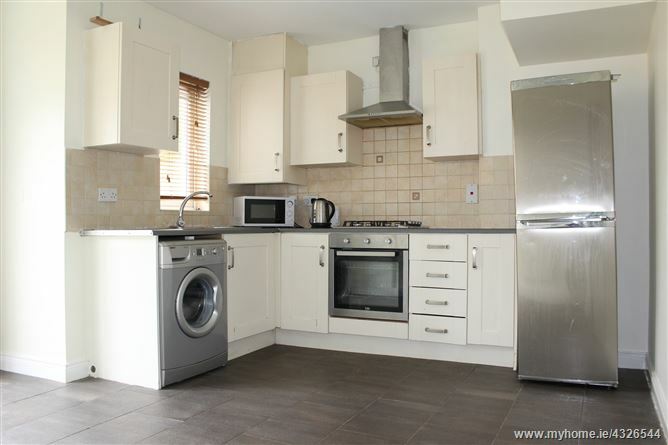 Bright & spacious, tiled floor, fitted kitchen, tiled splash back, Sliding patio doors to rear garden. 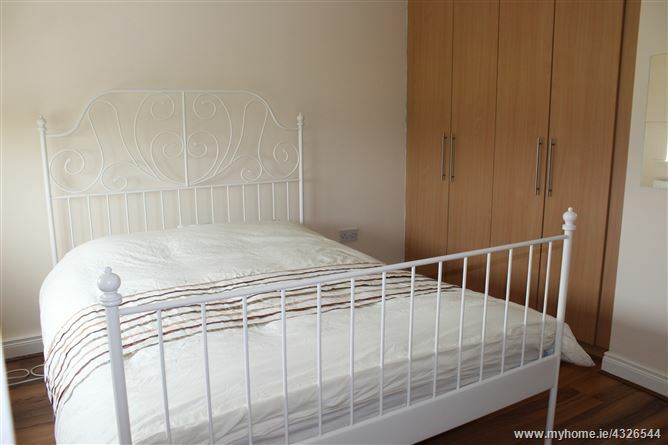 Wood floors & fitted wardrobes. 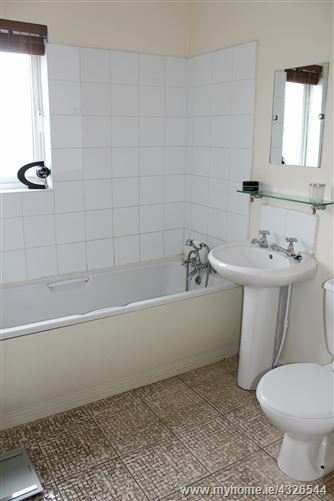 Tiled Floor, w.c, w.h.b with tiled splash back, bath with shower attachment and tiled bath surround. 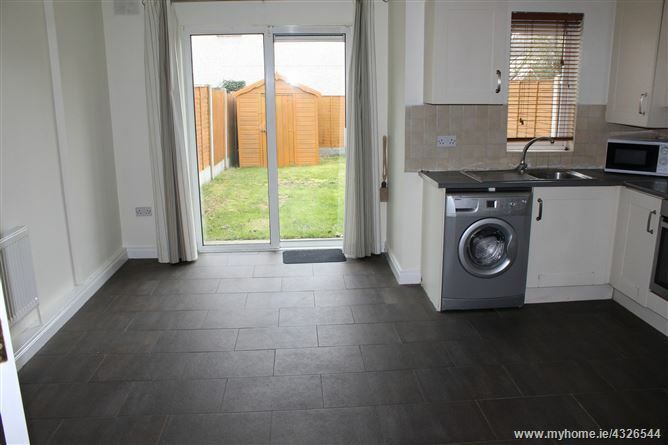 Rear Garden - South East facing, mainly in lawn with shed. 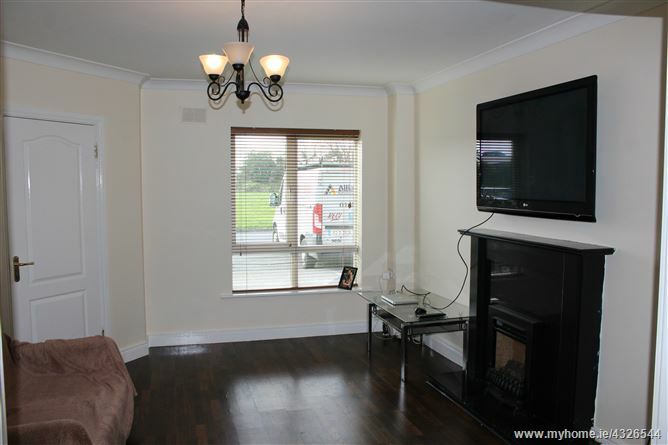 Take the N2 to where it ends at the Slane / Ashbourne Junction take the right turn at the Pilo Hotel on your Left proceed towards Ashbourne town take the first Right Turn, just after Toyota Car Showrooms. Take first right into Brindley Park. Take the N2 to the Ashbourne / Ratoath Exit, go through Main Street Ashbourne, passing the Dunnes Stores on the left, take the 3rd Left off Slane Road and take first right into Brindley Park.